The goal of this tutorial is to build a OSI layer two link between two laptops separated by two Linux and one Windows machines. To do it, bridges are built on these three machines because, as switches, the bridge operates at the OSI layer two level. This is different to the routers which work at the OSI layer three and stop the layer two broadcasts avoiding network saturation. 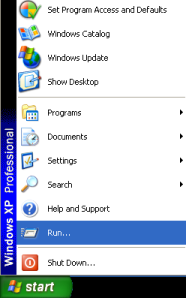 The bridges on the Windows B and Linux B machines are composed of a network and a virtual OpenVPN interface made by the Operating system. The bridge on Linux A is composed of two virtual interfaces and made by OpenVPN. 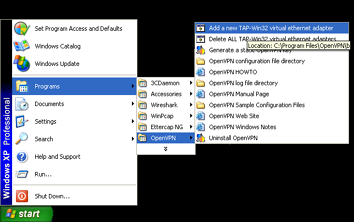 In this tutorial, OpenVPN is used in bridge and SSL mode. This is required to have multiple tunnels on a machine and establish an OpenVPN bridge. You will need to establish a Public key Infrastructure and create a pair of public and private keys for Linux B (certificate common name is "server"), Windows B ("windows") and Linux B ("linux"). 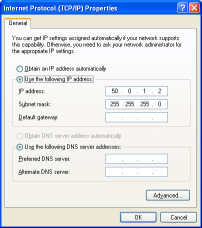 You can also find more information about the OpenVPN advanced options and about how to secure a Linux OpenVPN box. On the Windows A laptop, we just need to set an IP address and a subnet mask (10.9.0.111/24). 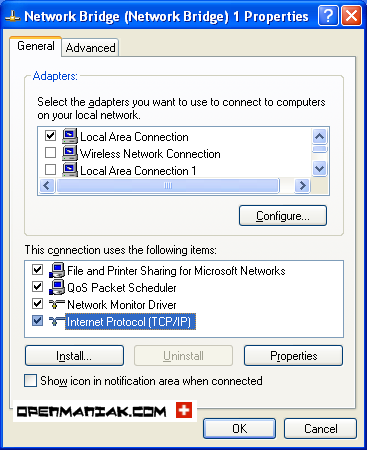 The default gateway is not needed as we are working in a layer 2 environment. 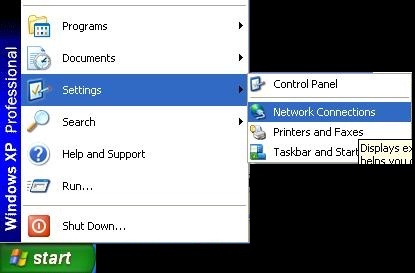 - Start -> Settings -> "Network Connections"
- Select "Internet Protocol (TCP/IP)"
We just need to set an IP address and a subnet mask (50.0.1.2/24). 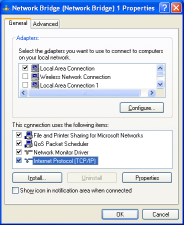 The default gateway is not needed as we are working in a layer 2 environment. 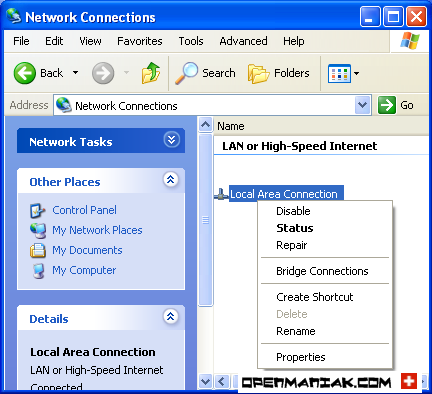 - Select the network interfaces member of the bridge. 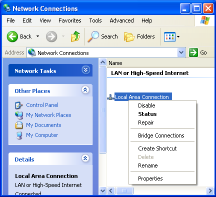 "Local Area Connection" which is one of the two physical interfaces. 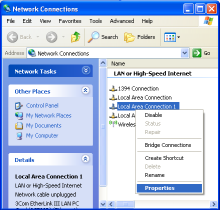 "Local Area Connection 2" which is the virtual OpenVPN interface. - Right click -> Bridge Connections. The bridge is created with its two members. - Configure the IP address and subnet mask (10.9.0.101/24). - openvpn.conf The Certificate Authority (CA) certificate. 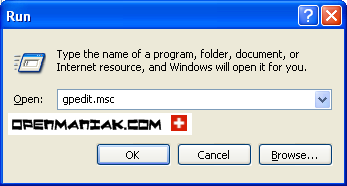 The "windows" certificate which contains the "windows" public key. The three first files are provided by the CA and stored in the "C:\Program Files\OpenVPN\config" folder. Look at the case study introduction at the top of this page for more information. The Configuration file is "openvpn.conf" and also stored in the "C:\Program Files\OpenVPN\config" folder. - Select "Run these programs at logon" -> Right Click "Properties"
- Enter the following command: 'openvpn "C:\Program Files\OpenVPN\config\openvpn.conf"'. Windows is now configured to launch OpenVPN automatically at logon. - ipp.txt The Certificate Authority (CA) certificate. The "server" certificate which contains the server public key. The clients IP address reservations. The three first files are provided by the CA. Look at the case study introduction at the top of this page for more information. Let's create the OpenVPN config file. Be careful to put the configuration file in the "/etc/openvpn" directory and with a ".conf" extension to be able to use the OpenVPN startup script. Note the "lport" setting is used to create several tunnels on a device with a single OpenVPN configuration file. By default, OpenVPN is automatically launched at user logon. The bridge ID begins with "8000" and is followed by the lowest MAC address of its members. The "linux" certificate which contains the "linux" public key. The three first files are provided by the CA. We are now ready to perform checks to validate that Linux C and Windows A can see each other (See the case study picture). Let's check if we really have a layer 2 link and no routing between Linux C and Windows A. Before being able to send ICMP packets with the Ping command, Linux C must know the Windows A MAC address. That's why Linux C first sends a layer two broadcast (FF:FF:FF:FF:FF:FF) to find who has the MAC address matching the 10.9.0.222 IP address. 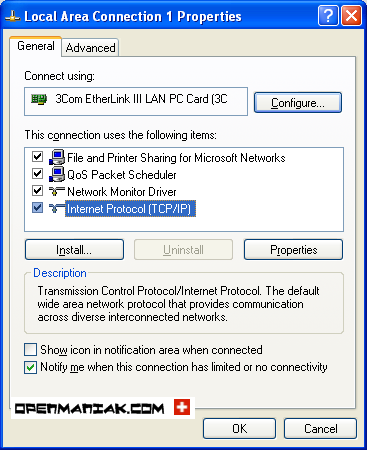 Windows A answers to Linux C and indicates its MAC address. 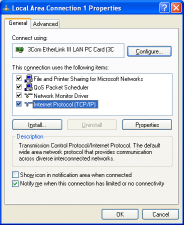 Linux C now knows Windows A MAC address and can send it icmp packets to see if the network connectivity is established. The capture, performed on Windows A, shows that there is an OSI layer two link between Linux C and Windows A because Windows A receives the layer two broadcast. It's good to remember that the default behaviour of routers which work at layer 3, are to stop the layer two broadcasts avoiding a network saturation. Bridges or Switches, which work at the Layer two level, will let the layer two broadcast pass through them. Another test to do to check whether we really have a layer two connectivity between Linux C and Windows A is to use the Traceroute command. If there is no hop, which represents routing device, until the destination it means we have our layer two link. When you have more than one tunnel on a Windows machine, you need to create new virtual interfaces. Only one virtual address is created by default when OpenVPN is installed. 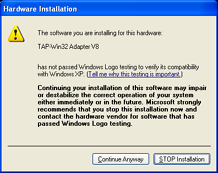 Start -> Programs -> OpenVPN -> "Add a new TAP32-Win32 virtual ethernet adapter". 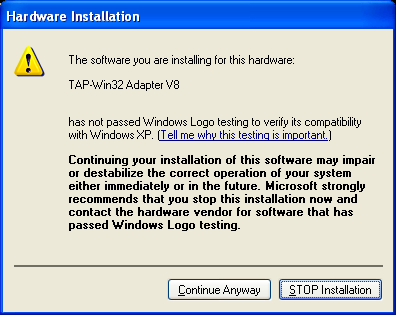 - We have now our two virtual interfaces tagged as "TAP-Win32 Adapter".